For many employees, attending the yearly performance review ceremony may not be the most “rewarding” time. It’s usually a few people ( who may not even be the most qualified) singled out in front of a crowd and presented with a generic plaque and a Visa Gift card. Employee recognition is much more than this and plays a vital role in employee morale! The problem with recognition is that many organizations have the right idea and good motives, but they keep missing the mark. It’s not always the employees to blame, but usually the management. Here are 10 of the most common mistakes companies seem to make and how to avoid them. Financial incentives have become quite popular over the years -. fill out this HRA and receive a $50 gift card. When programs become all (or mostly) about the money, employees end up lying and cheating just to get the rewards. 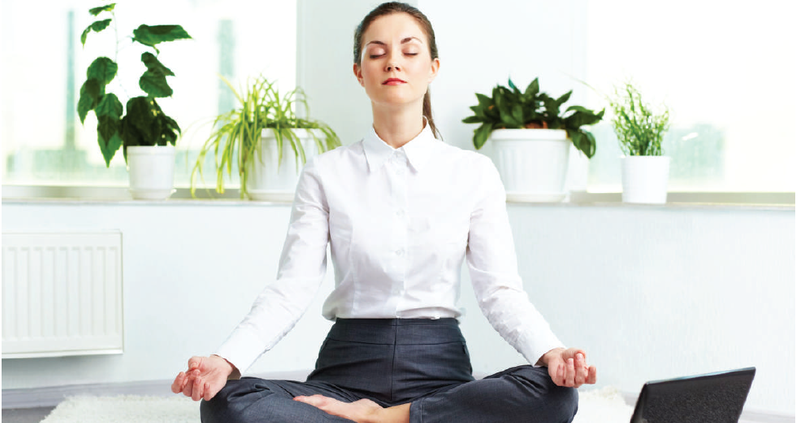 These tactics can backfire if employees don’t take the time to fully engage in wellness. Think about the last time you had to be paid to do something you actually wanted to do — I’ll wait. If you have to pay your employees to participate in your programs, you’re doing it wrong! You need to provide a comprehensive program which caters to your employees intrinsic motivations, so they actually want to be a part of it and don’t need to be bribed with money. Public Service Announcement : EVERYTHING DOESN’T HAVE TO BE A CONTEST! While there’s nothing wrong with a little friendly competition, overdoing it might send a bad message. Contests might work well for sales & marketing teams, but might not be effective for all employees across an organization. While the winners are at an all time high, the losers start to feel unappreciated which can lead to a decrease in morale and engagement. Remember, your goal is to reward top-notch performance company wide, not just people. Companies invest major dollars and lots of time trying to figure out how to best motivate their employees. But the second they assume that everyone will be driven by the same thing, they’ve failed. Before spending time and money only to guess what works, why not simply ask your employees? I’m sure they’ll have a definitive idea of what motivates them most. Top-down recognition is a thing of the past. We have since moved from a time where bosses would only praise and reward the employee who was most worthy. Praise should be done at every single level of your hierarchical management structure. Employees should recognize their fellow co-workers for actions or achievements they make throughout the day and week. This doesn’t have to be anything more than saying “Great job!” “Thanks for getting that project completed, I appreciate it!” “I noticed you brought in a healthy lunch every day this week, keep it up! ” This type of praise will foster friendship, increase collaboration, and boost morale in no time! Recognition, like new year resolutions is often put on the backburner. It’s best when it’s delivered ASAP — like yesterday! Waiting til the end of the week is fine, but any longer — well you know what happens with the fitness resolutions every year. Don’t wait for the holiday party to give some of your hard working employees a certificate or a plaque. Praise them with something that’s meaningful and personal. Show the employees that go out of the way for your company, that you too are willing to go out of the way to recognize them. Recognition can be delivered on a daily or weekly basis, as you see fit. 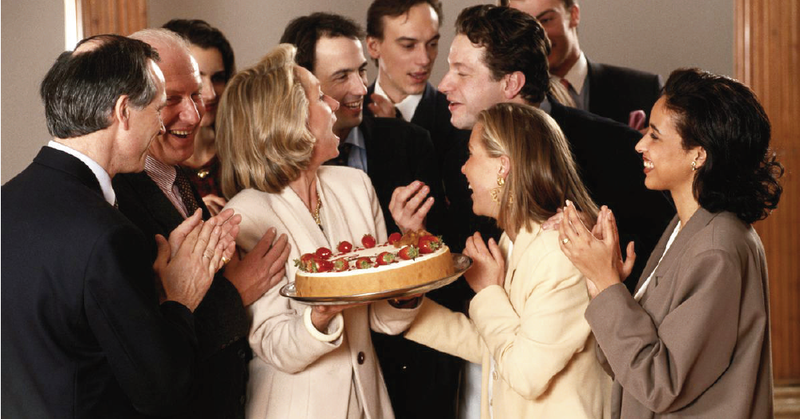 The more you show your employees some appreciation, the greater their morale! If you want to make your employees happy, stop with the generic praises: “best team player, employee of the month” and start recognizing your employees for specific behaviors and achievements. The more personal the commendations, the more satisfied your team will be. Recognition isn’t something that should be reserved for major company milestones. Celebrate the small successes along the way, especially if they’re aligned with the organization’s mission statement. Think about the person who worked extra hours to finish a project, or even an employee who recommended the office do a weekly meditation class. All results and accomplishments matter, even if they don’t result in company profits. There is an art to effectively managing a recognition program if you want it to last. The reason why many programs fail is because the data is rarely tracked; you can’t just set it and forget it. If you want to boost employee morale and engagement, invest in a platform, like Achievers that measures employee recognition. This will streamline the process, provide valuable data, and allow employees to connect with each other in new ways. An effective employee recognition program should be designed to motivate employees so they remain satisfied and more engaged. In order to accomplish those goals, you need to work smarter, not harder. Ever think about simply asking your employees what motivates them? Instead of designing a program based off of your own ideas, allow the employees to get involved. Also don’t wait until the year-end party to do so. Frequently survey and interview employees with simple questions like: “What motivates you? Do you feel appreciated at your job? Is there anything more we can do to show you we value here? How do you feel about the last performance evaluation?” With this data, you can redesign the program to be a better fit for your organization. Instead of rewarding employees for generic achievements, it’s crucial to determine the performance and behaviors which you plan to recognize. You can create a system to follow-through and reward these behaviors consistently. Employees have a right to know what they are being evaluated on and receive feedback on how they can improve to receive proper recognition. If recognition is done randomly, employees may feel deceived and managers may show favoritism which can lead an unhealthy employee-employer relationship. What are some other ways you’ve seen companies screw up recognition? Many employees feel that their job is extremely stressful. A study by Harris Interactive found that 83 percent of Americans were stressed at work. Being in such an environment is detrimental to their health and will never motivate them to want to participate in a well-being program, especially if the employers want employees to figure out how to manage their wellness on their own. Sometimes managers fail to realize that their habits influence their team more than any email or reward. Many employees wish to have a healthy relationship with their managers but this isn’t the case at every organization. Great managers lead by example and influence change within their company. If the managers can share the values and importance of well-being with their team, they’ll develop trust, and increase participation. When it comes to offering wellness programs the cookie-cutter approach rarely works. Millions of dollars are wasted each year when companies force employees to participate in programs which are irrelevant to their lifestyle. Each employees has different passions and priorities, so the program needs to reflect that. Employers need to work with vendors who can customize programs to the specific needs of the current employees with a comprehensive offering of services and activities. Many employees are skeptical about wellness programs because they aren’t sure who has access to their data. This can lead to animosity and distrust towards the managers. Certain information can be tracked and left private just for the employee to see such as weight, food logs, health markers etc. But if you want to use that info for surveys are research make sure you get permission. Always be transparent when asking employees to disclose their health data. The best way to motivate employees to actually participate in your offerings is to make it fun. Who wants to wait in line to receive pamphlets of health information that they’ll never read once they get home? How about hosting a survey to ask employees what they would like to do. We are social creatures who need human interaction and want our opinions to be heard. Take advantage of social media and work events to innovate your program and add a little fun to your activities. Set up a basketball hoop at your next health fair and invite your employees to take a shot for better health. Juggling the stress between work and everyday life is enough of a hassle, so there no reason to over-complicate things. If you want to have a successful wellness program, remember to keep it as simple as possible. Don’t overwhelm your employees with countless forms, emails, and objectives. Create a very simple dashboard where all the information can be found with a simplistic, yet user-friendly design. The easier the program can be integrated with your employee’s daily life, the greater the participation rates will be. Employees usually have friends at work who would join them and be accountability partners. Encourage group programs and activities with coaches to bring employees together and provide them with the motivation they need to stay on track with their goals. Employees want wellness “to be done to them, not at them.” In order to do this, don’t just give them a list of requirements that you think would best suit them. Provide recommendations while allowing flexibility so that they can pick and choose what they feel would work for them. This will empower employees to build self-efficacy, stay engaged, and achieve success. Working out, meditation classes, and health fairs are great aspects of a good wellness program, but don’t forget about community and environmental wellness. Offering millennials opportunities to volunteer and give back to the community is a wonderful way to increase workplace morale. Companies are finding that offering this as a perk is helping to attract and retain employees. In fact, 81 percent of the Best Places to Work for Millennials offer paid time off for volunteer work. Allow your employees to lend a helping hand for an organization that resonates with them. We are in the digital age and people are always on the go. They need to be able to access information as quickly and seamlessly as possible. People get turned off from having to log into a website, and rather have an app that makes the job easier. Employees need wellness solutions that are mobile friendly and allows. The more innovative your technology is, the better your program engagement will be. Starting a wellness program can be stressful especially when you don’t know where to start. A well-designed and comprehensive wellness program can definitely improve productivity, profitability and boost employee morale. But, with all the wellness vendors popping up left and right, how do you know which would best suit your company and deliver the results you want? This is an opportunity to learn what your employees are interested in, and more importantly what they are not. You can also use this time to get feedback on current programs and ideas for future initiatives. Remember that your employee health data may already be covered on HRAs or medical claims data, so you can leave it out of your survey. What are you looking to gain out of your wellness program? What type of philosophy best matches your company’s culture? If you want to succeed you need to choose a vendor who best aligns with your vision. Are you looking to reduce medical claims, boost employee morale or both? Before researching vendors or partners, make a list of your goals and expectations. Then reach out to your Insurance Carrier, Broker, or any relevant organizations in your network to help you find potential vendors that have experience working with similar companies in your industry. What are you looking for from a vendor? Some will just set up a program and let your team handle the rest, while others will work with your company to bring your vision to life? Consider what the vendors offer along with the skills and qualifications of the professionals you’ll be working with. Are you looking for them to have specific certifications or licenses? Don’t just go for the big name companies who sell you a cookie-cutter program. Big or small, every vendor has their strengths and weaknesses and are all qualified to create a program. Find one that offers exactly what you’re looking for and has innovative technologies and services. Does the vendor offer in-person or online services or both? This can be a determining factor if you have employees who work from different locations. It’s best to office on-site services but for the employees who work from home or in remote locations, they need to be able to access the similar services. Maybe have live-streaming presentations or conference calls, online health coaching, and more. Does the vendor provide a comprehensive wellness program or a la carte services or both? A comprehensive wellness program is the way to go because it’ll cater to the needs of any organization. Determine whether you’ll use a vendor that offers many services covering all aspects of wellness or not. Maybe you have a few great programs in play and you might need a few services from their menu, is that possible? Does the vendor follow HIPPA Guidelines? As stated by the U.S. Department of Health and Human Services “Where a workplace wellness program is offered as part of a group health plan, the individually identifiable health information collected from or created about participants in the wellness program is personal health information and protected by the HIPAA Rules.” Make sure your vendor is following all of these guidelines and your employee health data remains confidential. Does the vendor provide innovative solutions? Wellness isn’t only about physical health, but also mental, financial, social, environmental, and occupational. Older corporate vendors have been offering the same types of programs (i.e. walking program, tobacco cessation, seminars) for decades. If you want to truly change the culture and well-being of your organization, you need to offer more innovation. Make sure the vendor you choose offers different solutions to cater to the learning styles of the different employees at your organization. Some groups may benefit from a lunch-and-learn presentation, while others need to be doing something more hands-on. Also look for vendors that offer fun engaging events, wellness portals, online resources and new technology to give your employees a great experience. Will the vendor customize programs to meet the specific needs of your employees? Your wellness vendor should gather data and visit your workplace to immerse themselves in your culture. Then using this information, they can develop a customized program that will best suit your organization. A company who has older employees may benefit from a disease management program where as one with younger healthier employees might have no use for it. Wellness vendors that are true partners will do whatever it takes to create and implement a solution that is customized to each location within a company, and cater to the needs of each individual employee. How does the vendor measure participant satisfaction? In order to know whether a program is working and if people are really participating and engaged, the vendor should be tracking and measuring the data. These assessments must be done occasionally otherwise you’re just throwing money in the trash. A simple way to track data is to have surveys at the events. You can also use anonymous suggestion boxes for feedback. Using this data, your vendor will be able to tell you what has been working best and what needs to be changed. Does the program offer marketing support? The reason why most wellness programs fail is due to lack of communication and poor marketing. You can’t offer the program and expect everyone to know the details or how to get started. When you launch a program, you need to make sure everyone knows about it and is excited. You need to deliver the message to the employees in multiple ways. While some employees will read the company newsletters, maybe some others will more likely respond to a text or a Facebook post. Choose a vendor that helps with marketing campaigns, maybe through social media, monthly newsletters or flyers and brochures. Vendors that offer this type of support can take the stress off of your team and help you to maximize your investment. According to new research from the Pew Research Center’s Internet & American Life Project, 68% of Americans own a smartphone. They use their phones for everything: communication, learning, entertainment, and sharing information – why not include that in your wellness program? To boost engagement, make sure the vendor has a mobile-friendly website and portal in which your employees can participate and have access to all materials from their phone. Does the vendor help with scheduling? If you want to keep employees engaged and boost participation, it’s crucial to offer frequent events and activities – not just an annual health fair. Does your vendor help determine the best timing and frequency for events? Do they help you schedule events throughout the year? Not all employees take breaks at the same time or work the same shift. Is it possible to offer some activities and services at multiple times during the day so that nobody is left out? Maybe offer something in the morning before work begins, during lunch, and after work. Now everyone can attend and you’ll hear less excuses as to why they can’t make it. Does your program provide diverse offerings? 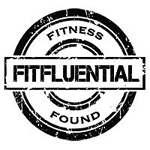 Ditch the vendors that have a very simple approach to wellness and only focus on health or fitness. Consumers are learning about new ways to live healthier and happier. Find a vendor who offers holistic services that focus on nutrition, mindfullness, self-care, and relaxation. Or look for one who offers professional development, leadership training, and volunteering. The more diverse the offerings, the more your employees will want to participate. 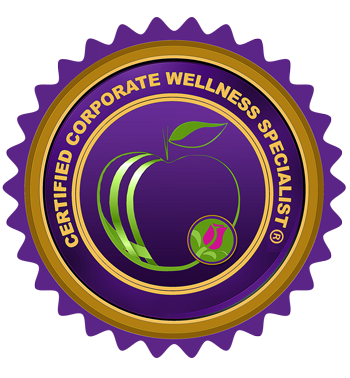 Hiring a corporate wellness vendor is a big investment for most companies. There are many risks involved, but also potential benefits. Hire the wrong vendor and you’ll waste your money. Contract with the right vendor and your big investment will turn into bigger profits and greater savings. The goal is to have a vendor who’s a your partner for long-term success – one that will offer a transformational experience for your company and its employees. The right wellness company will not only make your employees healthier, happier, and more productive, but also keep them fully engaged and help you to attract top talent and retain your best workers. Are your employees excited to come to work every day? Is office communication up-to-par? If you answered no to these questions, your organization may need a morale makeover! Employee morale is defined as the job satisfaction, outlook, and feelings of well-being an employee has within a workplace setting. High morale organizations consistently demonstrate less stress and better performance. With these benefits, it makes no sense why companies fail to see the bigger picture -they fail to realize that the employees are the key players in generating profits. Employee morale can quickly make or break a company’s success. Research suggests that actively disengaged employees cost the economy $350 billion dollars per year in lost productivity due to low morale issues. One Stop Wellness found many proven ways to combat this and we’ve compiled a list of the Top 50 Morale Boosters that some of our customers are using to change the culture of their organization – without breaking the bank. Think about the countless times you’ve been to a company outing that seemed pointless? Instead of having the HR team decide what you will do, ask for suggestions for a company-wide event, then let your team vote for the winner. This allows your employees’ voices to be heard and gives them an opportunity to engage in a satisfying activity. Fun needs to be incorporated into the workplace culture. A fun work environment is “extremely motivating” to 90% of employees surveyed in this Psychology Today study. Take a half day off to go out as a team to a new restaurant. Maybe go bowling or rock climbing, or even take a trip to an interesting museum. These types of events allow everyone to bond with others in a way that they never would inside the office. Doing this will build a stronger community and allow the entire team to work better. The office can be a breeding ground for germs. While some of your employees may not like getting pricked with a needle, you’ll be happy that they’re not home sick. Try setting up a flu shot clinic during a health fair. Pharmacies like Walgreens and on-demand companies like Pager will bring professionals to your workplace to administer the shots. There doesn’t always need to be a financial benefit to do something kind for someone else. It simply just pays off to do a kind act without expecting something in return. A recent scientific study reported that an anonymous 28-year-old person walked into a clinic and donated a kidney. It set off a ‘pay it forward’ type ripple effect where the spouses or other family members of recipients of a kidney donated one of theirs to someone else in need. Think about how much better your workplace would be if everyone was kinder towards each other? Encourage your team to perform random acts of kindness on a daily basis and watch it trickle throughout the entire organization. You can even turn it into a game: Create a RAK card for employees to pass on to each other along with each act. The first thing that comes to mind when incorporating your family is “bring your kids to work day.” However, this isn’t the only way to do it; maybe host a family-friendly outing or host an event during work hours. It’s a great way to share your work experience with your family and helps everyone feel more connected. Every organization has no problem thanking their best employees and high-profile individuals. But what about the people who mop the floors, cut the checks, or serve the food? These roles often go unnoticed, but thanking the people in these positions is a true statement of your culture. Next time you want to recognize workers for their efforts, think about the staff who keeps the place running. Gift them a gift card for a coffee or lunch. This will increase trust and loyalty throughout the entire company. Playing is a great way to de-stress, so much that some innovative companies are actually incorporating recess (just like elementary school) into their work day. This gives the employees time away from their work to reset. Technology Advice did a study and found that the easiest and most effective way to increase productivity is to encourage employees to play more games. A simple idea is to find an empty room and fill it with some games; buy a ping-pong table ( used is fine) and set up a tournament. Maybe even schedule 1:1 time over a game a pong. How about hiring an improv coach once a month to teach a fun class at the office? Green-friendly workplaces have been shown to cause a significant increase in productivity. This can be done a variety of ways, but to make it fun, have employees grow their own (genetically modified pollen-free) plants and decorate their pots. How about hosting a pot decorating contest or even see who has the largest plant. Having to take care of their plants will keep employees more engaged and give them something extra to look forward to each day. This will definitely boost morale and can be done on an extremely low budget. 9.Lend A Hand – Or Two! Volunteering might be the best way to make employees feel good about their work! According to a recent study, two-thirds of millennials prefer companies that let them volunteer skills while at work. Many large companies have been including these programs into their benefits packages. For example, Hewlett-Packard offers its employees 4 hours paid time off each month to volunteer. Employees can really gain a lot from helping others in need; it can increase camaraderie & communication and they’ll also see another side of each other that they wouldn’t usually see in the office. To find volunteering activities in your area, check out Volunteer Match. Music is part of our day whether we notice it or not. It’s usually playing in the background everywhere we go; the supermarket, the mall, or the gym. Nothing gets you in the right mood like music, which is why many people enjoy listening to their favorite jams on their commute everyday. Researchers from Cornell University have found that happy, upbeat music can lead employees to be more productive, cooperative, and work harder for the good of the company or team. 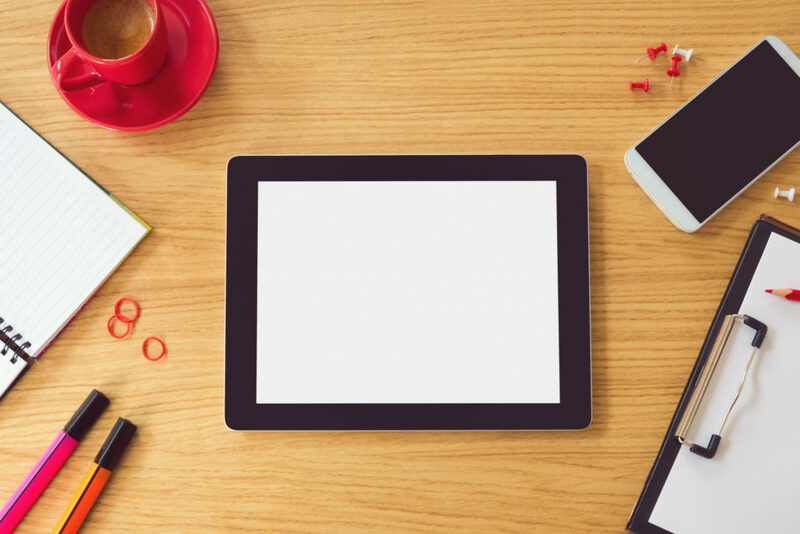 Email is the preferred method of communication at the workplace. It’s used to message colleagues, find customers, and schedule meetings. Even though it seems productive, email can become one of the biggest distractions in the office. A 2014 survey by Salary.com found that 78 percent of employees were wasting at least 30 minutes per day at work – the majority of that time was spent checking email. Instead of communicating with coworkers through email, why not get up and have a conversation. There’s also apps like Slack that will help with messaging between teams which can lessen the stress of email. Starting a new position can be intimidating, and if the new hires aren’t familiar with the entire team they try to figure everything out on their own. It’s crucial for new employees to meet everyone and build relationship with the entire staff. A great way to do this is to invite the whole staff to an after work event or game night so they can bond with everyone. Dedicate a wall in your office where employees can post their goals and accomplishments. This can be anything from drawings to positive emails, reports, completed projects, pictures, or even quotes. Employees will see this wall everyday and be inspired by what they’ve achieved individually and as a team. As a bonus, this fun wall will be super attractive for any visitors at the office! Believe it or not, your workers have lives outside of the office! This is really important to understand because employees may be distracted and disengaged by personal issues outside of work. Maybe someone has kids involved in sports but miss all of their games due to conflicting schedules. Find out what your employees do in their free time and learn about their family and personal obligations to potentially adjust their schedules periodically to accommodate. Starting a company book club can help to boost engagement. Once a month, your group can meet to discuss a book. It helps create a safe environment where everyone can freely share their ideas and opinions. A book club can also help with personal growth through the opinions and experience of other individuals which in return can develop a strong culture. People are happy when they get birthday wishes, especially when they’re not expected. Remember everyone’s birthday, write them a card thanking them for all their hard work and give them the opportunity to spend their day as they choose. They’ll appreciate you much more! A simple, yet effective way to keep track of your team’s accomplishments is to write them down and put them into a jar. At the end of the month you can meet and go through all of the accomplishments. We all know that exercise can improve mental focus and performance. Many employees want to be active but lack the motivation or drive to do it alone. Instead of taking the journey alone, be active together – at work! By using a fraction of the workday for exercise, employees can feel a boost of energy and reduce stress. If your management doesn’t agree, show them this recent study! Some easy ways to incorporate group fitness is to schedule a workout during a short break, take walking meetings, have a personal trainer come in to teach a class, or have an employee who’s certified in group fitness create a workout. Or why not kill two birds with one stone – combining fitness with volunteering: maybe you can participate in a dance-a-thon for charity or, Heart Walk. These activities are great for team-building and easily affordable. Let’s show your employees that you really care about them. Every Monday, take 1 person out to a local coffee shop to some 1-on-1 time. Here you can discuss your expectations and also learn about your employee and if their needs are being met. The ROI of this treat will be in the form of gratitude, loyalty, and appreciation. The on-demand service industry is growing. Many companies have apps where employees can book massages, haircuts, car rides, acupuncture and much more at a reasonable price. Provide a resource of these services so your employees can have access to them. Looking for a fun and tasty way to make boring meetings fun? Try a healthy potluck luncheon. Everyone will bring in or prepare a healthy meal or snack. Food will keep people energized and excited about the meeting and they’ll also get down to business with a better mindset. Work can be super stressful! Spending hours on less important tasks take away from our more important jobs -this is why outsourcing makes sense! Instead of putting all the pressure on employees, encourage them to outsource busy work to freelancers. Two popular companies make it simple and affordable to hire freelancers Fiverr and Upwork. A sabbatical provides an employee paid-time off to pursue a passion, volunteer, travel or spend time with their families. Companies like Deloitte are offering sabbaticals to boost retention. These long breaks are great because the employee can still keep their position when they return. Believe it or not, working longer hours does not increase in productivity! Overworking can lead to stress and loss in productivity , and can be detrimental to your employees’ health. Create a reasonable work schedule that fosters productivity, focus, and engagement. Help employees with time management and support groups. People just don’t seem to express gratitude enough at work! According to a survey of 2,000 Americans, people are less likely to feel or express gratitude at work than anyplace else. Employees need to hear “Thank You” from the management first and this will promote trust, loyalty, and a sense of safety. In addition to the increase in productivity and happiness, people who express gratitude at work have been shown to have a greater satisfaction with life, less stress, and less illnesses. A gratitude journal is a great gift to boost your employees’ morale; it will make them feel happy and motivated. Every day, your team can write what they’re thankful for (actions of another person, material possession, the weather or just being alive) and at the end of the week, have a meeting to discuss something from their lists. When there’s a snow storm, hurricane, or flooding, allow employees to work from home. This is more favorable and will keep them safe. Employees will be happier knowing that they won’t have to worry about the hassle of a horrible commute in the inclement weather and will be more productive at home. When everyone’s getting paid and feels appreciated, work can be a happy place. But when a team is full of negative people who just try to bring down everyone around them, it can be a toxic environment. These people swear, insult, belittle, and make rude comments. They like to play the victim and blame everyone else for their issues. It may seem bad to get rid of all of them, but if they are not uplifting the company, keeping in line with the core values, or cooperating with co-workers, they need to go! How satisfied are you with your managers? What’s one way we can make your work experience awesome? Last spring on National Walking Day, the American Heart Association held a sneaker decorating contest where employees at different companies could decorate a pair of shoes any way they wanted. Competitions within an organization can be fun and allows the employees to be creative and think out-of-the-box. There’s nothing better than getting free stuff! And if it’s cool swag, employees will love it. It’s really easy to create fun, stylish t-shirts online. You can also go to Discount Mugs to add your logo to stress balls, water bottles, frisbees, and drawstring bags to give out at your health fair or field day. These will keep people talking and it’s extra promotion for your company. Host a social event once a month where employees can stay after work for about an hour to enjoy some snacks. Maybe have your team vote on a restaurant or bar where they’d like to go. This gives them something to look forward to and another opportunity to connect with each other outside of the work setting. AlleyNYC hosts weekly happy hours where they serve drinks and showcase some of the startups in their community. Social media is great in the workplace (when used properly)! Instead of thanking someone or sharing a company milestone via email, how about make a post about the event or individual on social media. This will not only show your employees that you appreciate them, but also allow any potential employees or followers of your brand to learn about your culture! Many companies focus so much on business and financial goals that health usually ends on the backburner. Give employees rewards or recognition for tackling a major health goal. They’ll love to see that you care about their wellbeing! Coaching and mentoring should stop a few weeks after a new employee has started their position. A 2012 study by Deloitte concluded that retention is 25% higher for employees who have engaged in company-sponsored mentorship. Starting a mentor program will help your employees learn more about their roles, giving them a better path for success. This also gives them an accountability partner to keep them on the right path. This is the opportunity to get a little silly at work. You’re probably working to create the ultimate corporate superheroes, so why not give your employees a chance to dress like one. Pick a day and theme and let imaginations run wild. Show your employees that you want them to grow professionally and personally. Help them get on the right track towards receiving promotions. Try having weekly meetings where the senior leadership or regular team members talk about setting goals as well as other personal development topics. You can also bring in a personal development coach for more focused and professional advice. In addition to this, companies like Starbucks are even sponsoring tuition reimbursement programs to go towards advanced degrees. People will work their best if they feel appreciated. Start each week with a motivational quote or picture to get everyone in the proper mindset. Congratulate all accomplishments – big & small! Encourage each other to give high fives for no reason! This will boost productivity and efficiency. Free food is an amazing perk to have at work especially when focusing on the health of your employees. Companies like Google offer free food in their cafeterias and encourage employees to take some home. They have many healthy options for breakfast, lunch, and dinner as well as coffee and snack bars. This is great because it gives people no excuse to eat unhealthy since it’s always available every day. But if your budget isn’t as big as Google’s, why not offer health snacks in your break room. A company that’s helping employees snack better at work is Snack Dot. They allow your team to vote on the specific snacks they want/like and then deliver them right to your office! No more unhealthy vending machines! Set aside 10-15 minutes to help employees build their emotional intelligence through mindfulness. This can be done at their desk or workstation. A study of HR managers by the University of Washington in 2012 concludes that mindfulness helps us experience less stress and an increased focus when multitasking. If you want to keep millennials engaged, you need them to understand the purpose of their work and the mission of the company. These workers want to feel as though they are part of something great and can make an impact. If they don’t see any meaning in their roles and don’t understand the vision, they will most likely feel undervalued and this will reflect in their performance. The best way to celebrate employees is to give them time off. Allow them a day off from work if they accomplished a major company goal, got married, for their birthday, or work anniversary. Make sure everyone on your team feels special at least once a year. Happy workers are, on average, 31% more productive and 3x more creative. This is a low-cost way to boost your employees’ morale as well as attract top talent. Sign up for an employee discount program through Access Perks, and they will provide you with over 350,000 perks & programs that you can offer to your employees. Face the truth, EVERYONE GETS DISTRACTED AT WORK (some more than others)! To show your employees that you understand it’s normal, create a distraction box. Fill it with quotes, jokes, activities, and other fun things that they can do to get a quick morale boost and motivation to continue with a productive work day. This is a fun and engaging why to keep everyone talking and giving encouragement. Make a board of all your team members and anytime you or an employee catches a co-worker in the act of doing something healthy, give them a point towards redeeming a reward. This turns wellness into a team effort and everyone is accountable for each other. Yes, even adults need naps. Taking a 15-20 minute power nap not only recharges the body, but also the mind. Researchers at Saarland University concluded that a short nap at the office or in school is enough to significantly improve learning. Some companies are turning empty spaces into nap rooms with futons, cots, or even couches for their employees. Athletes do it all the time, so why not your organization? A daily huddle only takes a few minutes and can be one of the most powerful engagement tools and morale boosters in your arsenal. It provides face-to-face communication about the goals for the day. Your employees will think of everything as a team effort and now that they know exactly what must be done, they’ll work more efficiently to do so. Scavenger hunts are great team-building activities and also loads of fun. Have your employees form teams and create a list of things around the office. You can even add a few personal items to the list like find a picture frame from a co-worker’s desk. Set a time frame and offer the person/team with the most points a $10 Starbucks Gift Card or a fun Groupon Gift. What’s stressing your employees and decreasing their productivity? Whatever it is, find it and remove it so things go back to running smoothly. Sometimes it can be a mad manager, unreliable or old software, maybe it’s time to upgrade your workforce. Next time everyone’s out volunteering or on a day the office is closed, have the entire place cleaned, painted with bright colors and redesigned. This might be just enough to instantly boost morale. The most important morale booster of all is to simply be genuine. Be transparent in all you do, encourage communication, and stick to your company values! At every company, employees need to be reminded that all the goals are accomplished through a team effort. Every individual has their own skills, talent, and creativity, so make sure they use them. Each week host a “skillshare” where a team member presents a lesson on a skill to the group. This can be anything from making excel spreadsheets, to basic cooking lessons, or even blogging. Giving employees the opportunity to shine and be an expert on one of their favorite topics allows them to work on something they’re excited about! People love their pets, so give them opportunity to bring their four-legged friends to the office each week. Recent studies show that pet interactions increase oxytocin levels, the hormone that motivates us to treat others with love, care, and compassion. Think about the extra smiles you’ll see around the office! Whether it’s coming to work in a panda costume, or creating your own jeopardy game, come up with something weird and unique. This gives your company its own identity and culture and helps your employees take pride in the office. Nothing brings a smile to your face more than a thoughtful gift. The holidays are always a fun-filled time so let’s use it to cheer up the office. Host a holiday party where team members will write out cards to everyone and participate in a “Secret Santa” to trade gifts with each other. It’ll help employees get to know each other better and do something kind outside of their normal routine. People who are criticized often feel unappreciated and unwanted at work. They’ll never be motivated to go above and beyond to do an outstanding job; they’ll do the bare minimum and watch the clock until it’s time to go home. Offer constructive criticism and words of encouragement and praise. You’ll quickly notice how things change. We hope this list inspires you to show your employees that you care. Want to download this entire guide so you can start boosting employee engagement today? A major problem that HR managers and top level executives seem to face is keeping their employees engaged. This is partly because many employees quickly feel uninspired and challenged by their work. They eventually get bored, and end up back on the job hunt within two years! This might happen for many reasons, but usually it’s simply because they don’t feel engaged and appreciated. Show your team that you really care about their lives. Find out what their interests are and possibly create a social event around it. Maybe they love cooking? Do they enjoy going hiking? Maybe they’re into yoga. Learning what your team is passionate about is a great way to connect with them on a personal level. Starting a new position can be intimidating and if the new hires aren’t familiar with the entire team, they’ll try to figure everything out on their own. It’s crucial for new employees to meet everyone and build relationship with the entire staff. A great way to do this is to invite the whole staff to an after work event or game night so they get bond with everyone. A company’s social responsibility can make a huge difference to its bottom line. A growing number of employees are not only looking for a good salary, but they may also want to get involved in social causes that may align with their personal beliefs and values. Many workers are looking for ways to get involved in their communities, but due to work hours and other obligations, it may be extremely difficult. A great idea is to give your employees a few hours each month to leave the office and donate some time to improving the community. Who doesn’t love having fun? Well fun needs to be incorporated into the workplace culture. Take a half day off to go out as a team to a new restaurant. Maybe go bowling or rock climbing, or even take a trip to an interesting museum. These types of events allow everyone to bond with others in a way that they never would inside the office. Doing this will build a stronger community and allow the entire team to work better. This is great for anyone who tends to snack on processed sugary f00d-like substances during the day. Having a community refrigerator stocked with healthy foods will make a big difference because they’ll increase satiety and energy. Eating nutritious meals and snacks have been shown to boost productivity, increase performance, and reduce the risk of chronic conditions. Believe it or not, your workers have lives outside of the office! This is really important because employees may be distracted and disengaged from personal issues outside of work. Maybe someone has kids involved in sports but feel guilty about missing all of their games due to conflicting schedules. Find out what your employees do in their free time and learn about their personal obligations to potentially adjust their schedules periodically to accommodate. More than 1 in 3 American workers today are Millennials (adults age 18-34 in 2015), making them the largest age group in the American workforce. While they are the most educated, culturally diverse, and tech-savvy workers on the job market, they are more likely to leave their jobs after a couple of years in search of another one that will help them move closer to self-fulfillment and success. Before you stereotype them as lazy and careless, you need to understand that these workers are ambitious go-getters and need to feel as though they are doing meaningful work. To engage millennials more effectively, you need to understand them better- find out their motivations, goals, and dislikes. 5 Simple Strategies to Engage Millennials! According to the 2016 Deloitte Millennial Survey, work-life balance was the most important driver of employer choice. They don’t like the idea of having set working hours and being glued to a desk for most of their day. These workers also love being able to work remotely, especially since most work can be done from anywhere with internet. One of the worst things an employer can do to an employee is telling them that they need to dedicate all of their time to their job. That’s a sure way to decrease employee retention. Everyone has lives outside of work and can’t be in work mode 24/7. Allow team members to spend some time each week to work on a personal project or hobby. This not only helps fulfill their passion, but it also helps employees to take on a leadership role, develops their problem solving skills & creativity, and makes them feel more loyal to the company. If you want to engage millennials effectively, you need them to understand the purpose of their work and the mission of the company. These workers want to feel as though they can make an impact. If they don’t see any meaning in their roles and don’t understand the vision, they will most likely feel undervalued and their performance will take a plunge. A difference between millennials and older generations is that they appreciate having a more successful person show assist them to reach their goals. A great mentor will help with their professional development, and provide constructive criticism and positive reinforcement. This generation is committed to personal growth and achievement. According to a 2012 survey by Adecco, 68 percent of recent graduates identified good opportunities for growth as a top professional priority. If you don’t plan to invest in their professional development and well-being you are doing your company a disservice. Millennials want to improve and be given the opportunity test out their new skills, so provide them the tools and resources to do so. To make work more meaningful for millennials, consider offering community service activities. These employees prioritize helping those in need and making the world a better place. Try dedicating hours or days each month to giving back to your local community. Besides working for the greater good, volunteer work is great for team-building because it develops emotional intelligence and encourages your team to connect in ways that would never occur in the office. Well-being is a commonly used term in the workplace and many companies have implemented programs to improve the wellness of their employees. This can lead to many positive outcomes such as: increased productivity, health, and employee retention. In order for a program to truly be successful, the company’s culture must be looked at. While the program may be great from the outside, there may be internal struggles that the organization may be facing preventing them from thriving- they need to create a positive culture! This culture change should start from the leaders and trickle their way down to the employees. The workforce needs to feel that wellness is something being done for them, and not to them. Here’s 5 ways leaders can create a Culture of Well-being today! The biggest mistake leaders make is treating well-being as just another perk in their benefits package or an annual health fair. In order to effectively create a culture of “real health”, leaders need to create a clear mission statement to show the entire organization that wellness is one of the top priorities. It won’t ever go away and employees are expected to be a part of it. This type of commitment may be the key factor to fostering change. Wellness or well-being are terms that have been over-used throughout the years. Take time to create a clear and concise definition of what well-being means to your organization and the goals you expect to achieve. According to Gallup Research, wellness programs are shown to be more effective when employees understand what is really is and how it can benefit them. Leaders must be willing to make company-wide changes that are in line with their culture such as posting health tips around the office, offering healthy foods in the cafeteria, and allowing employees to voice their opinions. Another great way to get the employees engaged is to demonstrate that you are also actively participating in the programs and initiatives. This will create a safe, friendly, and healthy workplace. Trust issues are usually what keeps employees and leaders clashing heads. Sometimes when wellness programs are implemented without proper planning, participants can feel that they are being forced to participate. Employers should try to learn what really motivates their employees and how to help them improve their health. Leaders must communicate with the entire team to re-assure them that their well-being (and that of their families) is crucial to the success and longevity of the company. What percentage of employees are actively participating in our program? Are the program initiatives in line with our mission statement? How can the company adjust the program to increase engagement? How has the workplace culture changed since implementing the program? What are the least used interventions? After reviewing surveys and data, leaders can then continue the programs that are effective and get rid of the programs that aren’t! What are some strategies you implemented that aren’t on this list? Please share your ideas with us! Communication is something that we do passively – like breathing. We talk to our spouses, family, friends, co-workers without even realizing! While it seems like we’ve been doing it effortlessly throughout our lives, to communicate effectively requires some skill. Knowing the right words to say, listening and understanding what is being said, and getting our point across can make or break a relationship. While miscommunication can lead to simple arguments at home, it can lead to much more serious issues at work including: decreased productivity, unmotivated employees, increased employee turnover and may ultimately ruin a great company. Communication is not just important, it’s absolutely necessary for any type of relationship – including those in the workplace. To improve communication throughout your entire company, you need to implement a few simple changes that may ultimately boost productivity, motivate employees, and improve retention rates. Technology is awesome because it improves speed, saves time, and is more convenient ! But with all of the gadgets we use, we’ve become slaves to our screens and essentially have neglected the art of conversation. People spend less time talking in person and more time communicating through e-mail, text messages, and social networks. And what’s even crazier – employees rather e-mail a co-worker who may be sitting a few desks away than just taking a few steps to talk to them. Great communication includes verbal and non-verbal language, but when the non-verbal (facial expressions and body-language) is taken out of the equation, misinterpreting a message can be quite common. How many times have you sent a well-written message with great intentions only to have it misconceived by the reader? Or what about when you spend time writing a very detailed and articulate e-mail and only receive a short response? That can easily be misinterpreted as a lack of interest. So here’s a simple fix for better conversations: Pick up the phone every once in a while and make a call. Walk over to your colleague and speak to them face-to-face! Or schedule a meeting. Why didn’t they inform her prior to this? This type of situation usually results in resentment for the management and can lead to employees quitting. Great organizations should trust & listen to their employees while encouraging transparency so there’s no secrets. What you are telling your employees when you don’t communicate with them is that they don’t matter; their feelings, their opinions, or their presence. Bad decisions might be made and employees may be disappointed, but there’s no excuse for not being upfront and direct. To improve communication and employee morale, allow workers to voice their opinions and be part of the conversations, no matter what the potential outcomes may be. You engage in conversations with your employees throughout the day, but how often are you actually listening? Are the words just going in one ear and out the other? If you’re thinking about your upcoming conference call or your after-work activities during the conversation, you’re not listening. Effective communication requires speaking and listening. To really understand the purpose of a conversation you need to be fully invested in it and give the speaker your full attention, otherwise there will be a disconnect and the message will get lost. Next time you’re speaking to an employee: summarize the main points of the conversation and ask the speaker to clarify their main points or elaborate on a specific topic. This shows your employee that you care about what they said and will lead to improved satisfaction and a healthy workplace culture.